This Halloween, children at the Great North Children’s Hospital received a special treat from The Children’s Foundation and Kids 1st Nurseries, when they brought ‘trick or treating’ to their hospital beds. 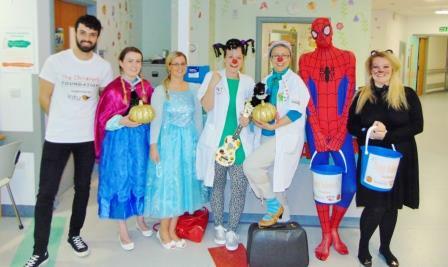 Along with the Clown Doctors, volunteers from Kids 1st Nurseries visited children on the wards in fancy dress. As many of the children couldn’t go trick or treating themselves they brought some chocolate treats to the patients. The children loved getting a visit from some of their favorite characters especially Anna and Elsa from Frozen. The Clown Doctors visit sick children in hospitals all over the North East of England to support them through what can be a traumatic and frightening time. 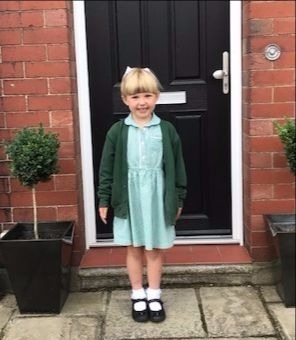 Kids 1st have a long standing partnership with The Children’s Foundation and over the past 10 years have raised over £21,000 to help children across the North East and North Cumbria. Kids 1st are committed to raising more money for The Children’s Foundation this year to help projects in the region.